Contemplation of carrots on a stick. 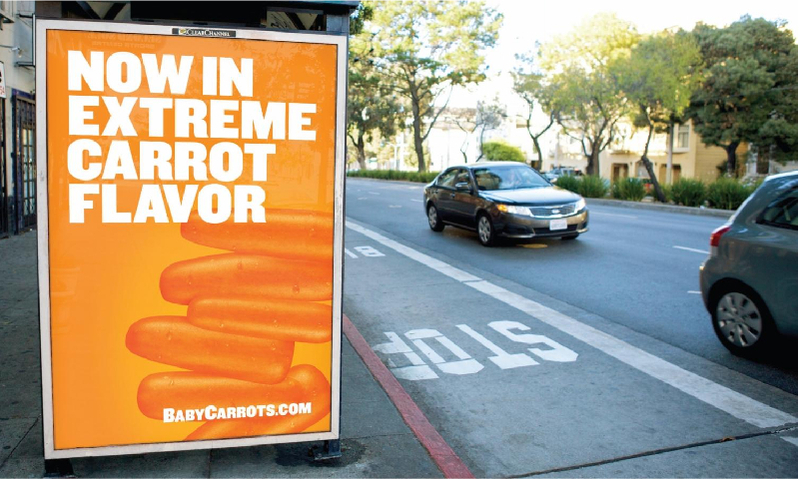 Carrots, in my opinion, have two uses . . .
first as a utensil for vegetable dip . 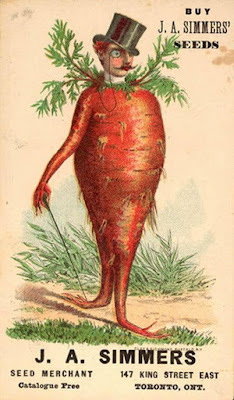 . .
and second, as a hypothetical dietary aid . 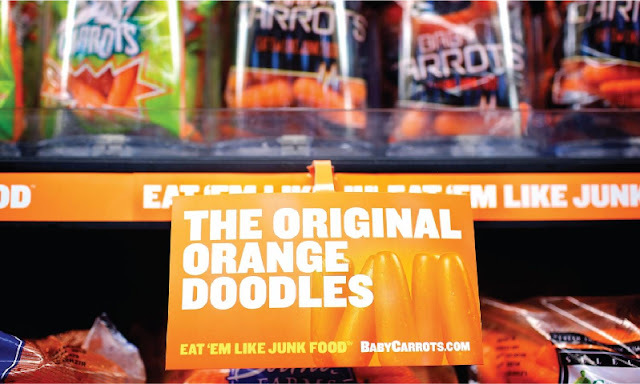 . .
meaning they are left to sit, incased in plastic, at the bottom of the refrigerator drawer . 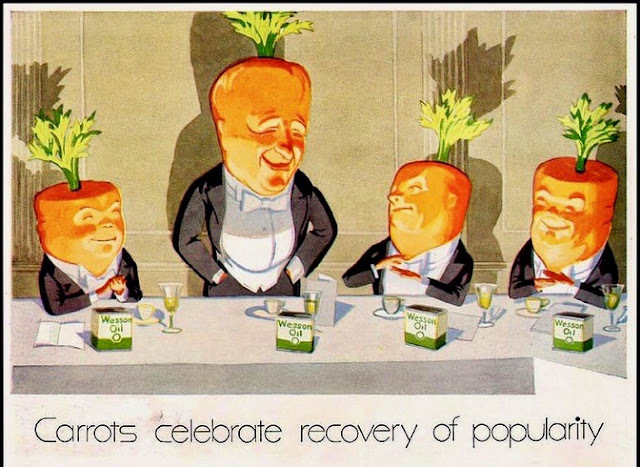 . .
until they mature to a state where they can be thrown out. Wesson Oil in Every Pot of Boiling Vegetables"
Fortunately for the health and well being of others, the surge in carrot popularity started on July 26, 1942. 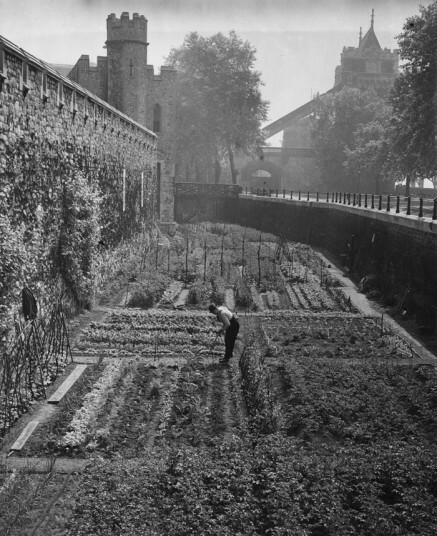 Tower of London, tending to the moat vegetables. 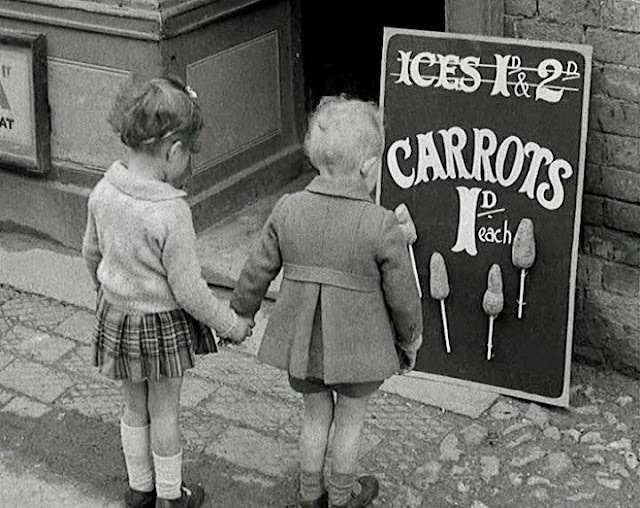 The United Kingdom, at the onset of the Second World War, imported a large portion of goods including 70% of UK sugar. 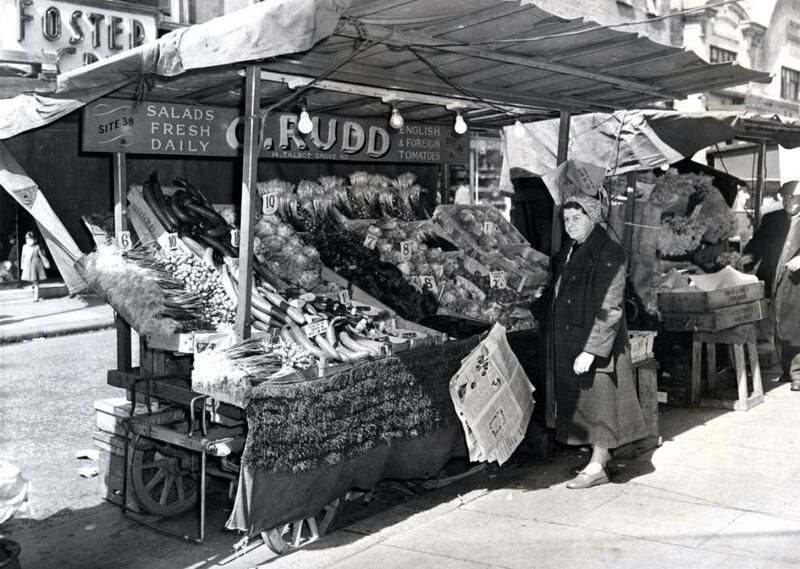 Lord Woolton, Ministry of Food requisitioned spaces in cities for kitchen gardening. Engaged couple starts a household by choosing vegetable seeds. 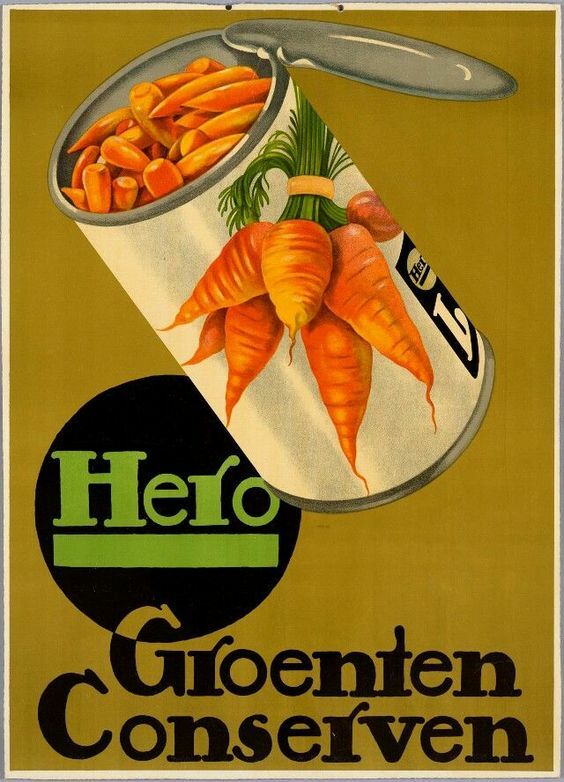 Americans sent 9 tons of vegetable seeds over through the British War Relief Society for the British public. 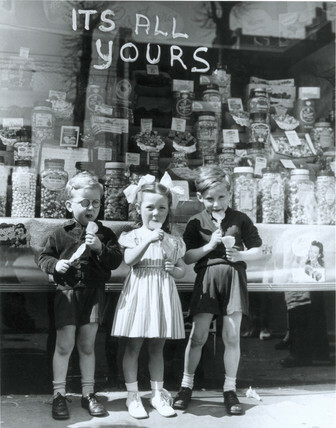 Rationing of sweets and chocolate started on July 26, 1942. 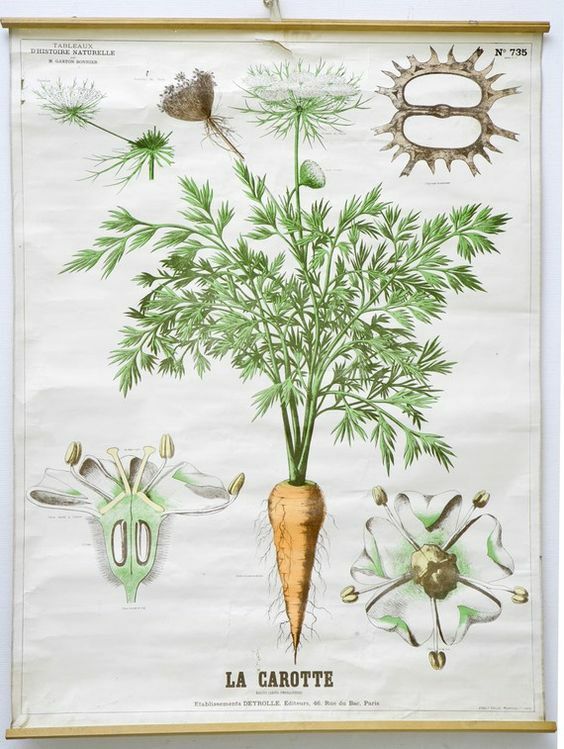 Attempting to find a replacement, carrots were promoted as an addition to jams, baked goods and confections. 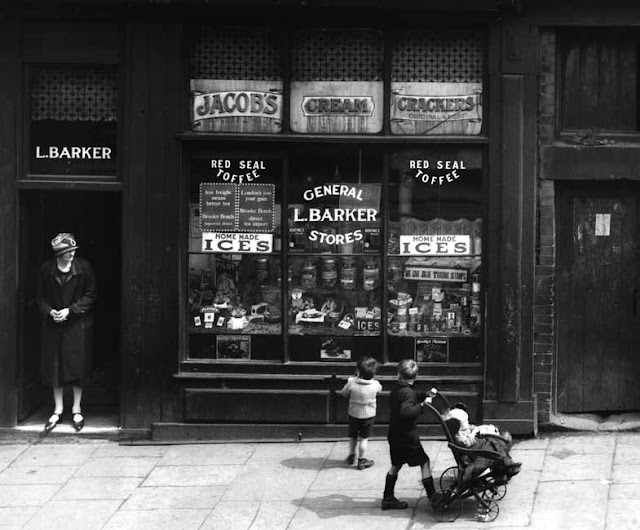 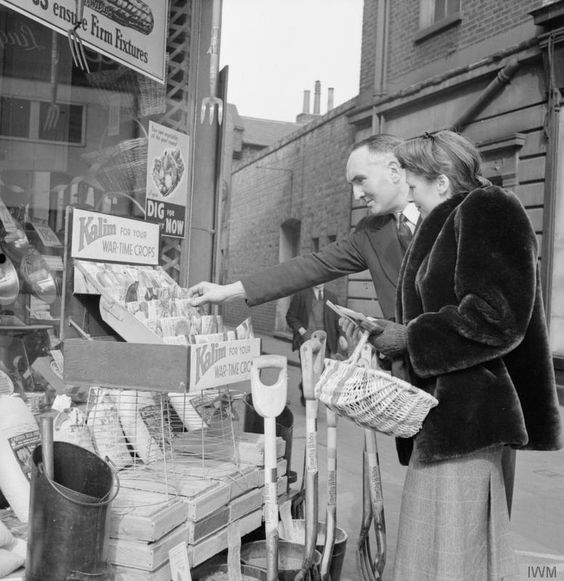 Mr. Carter, the proprietor of a London sweet shop announced that he was offering toffee carrots. He assured the public that the alternatives were sweeter than apples and so abundant he could offer them at a halfpenny or penny depending on size. 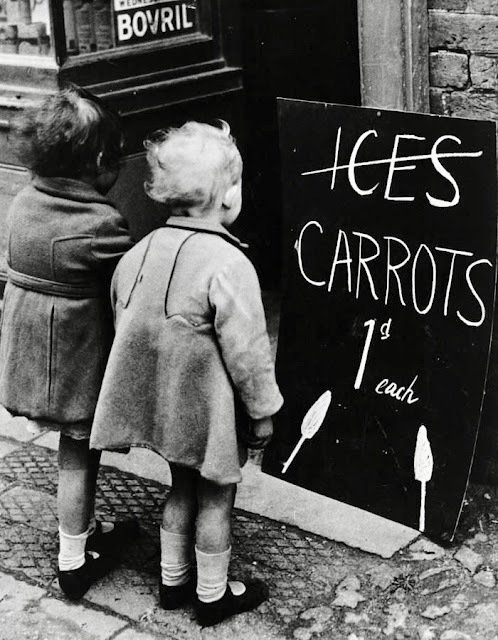 After 10 years of carrot cookies, carrot pudding and carrot fudge, the election in 1951 was influenced by a promise to lift restrictions. 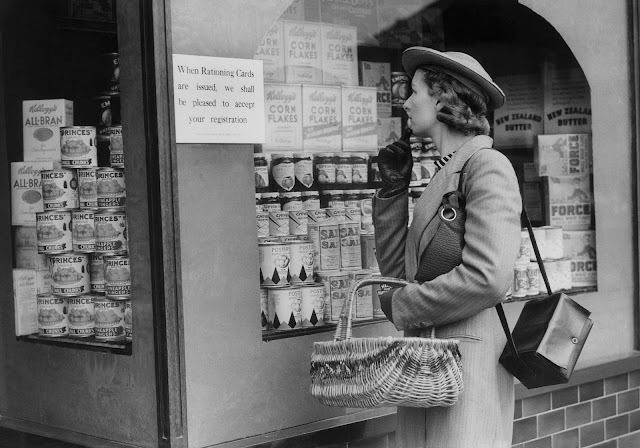 February 5, 1953 restrictions were lifted. 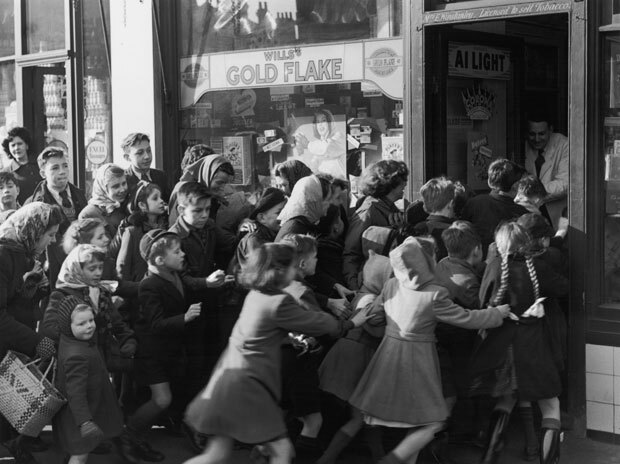 Per newspaper accounts, candy factories gave away confections including a local company providing 150 lbs of lollipops to 800 school children. 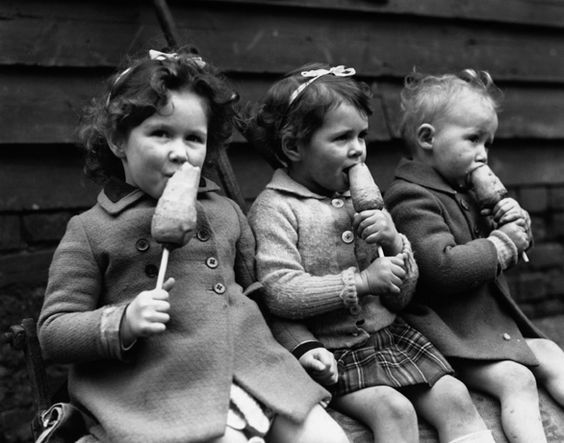 Perhaps related to Mr. Carter's toffee creations, toffee apples were the best selling item. 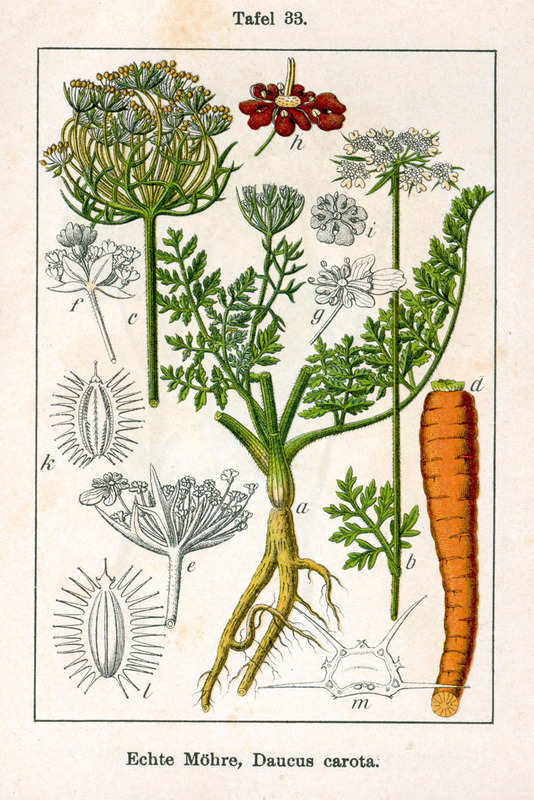 Carrot consumption, while not rivaling the prior levels, remained a dietary staple . . .
Bolthouse Farms campaign promoting the consumption of baby carrots.